William Frederick Gardiner (1884-1951) was a prominent architect in Vancouver, B.C. Here is a partial list of his projects. 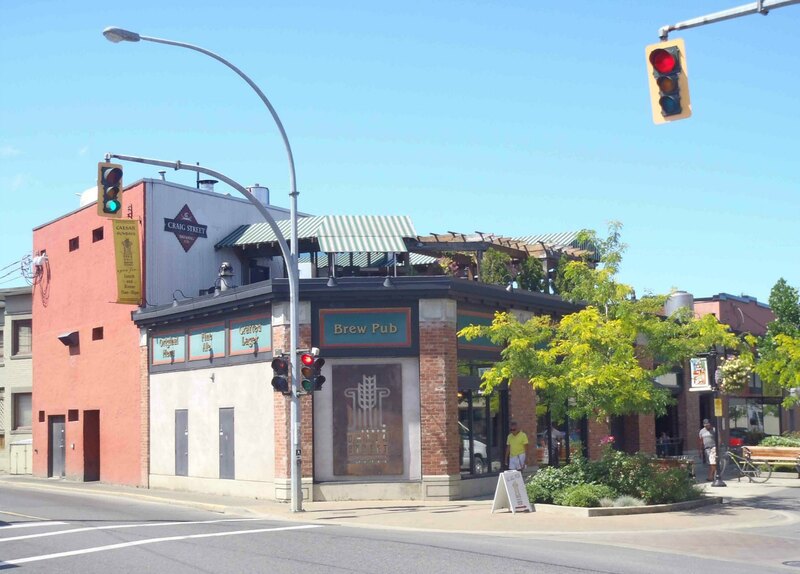 We have included this page about William Frederick Gardiner on duncansightseeing.com because he designed 25 Craig Street, a well known building in downtown Duncan which is now the Craig Street Brew Pub, a popular downtown restaurant and pub which brews its own craft beer onsite. As far as we currently know, 25 Craig Street is the only building William Frederick Gardiner designed in Duncan. 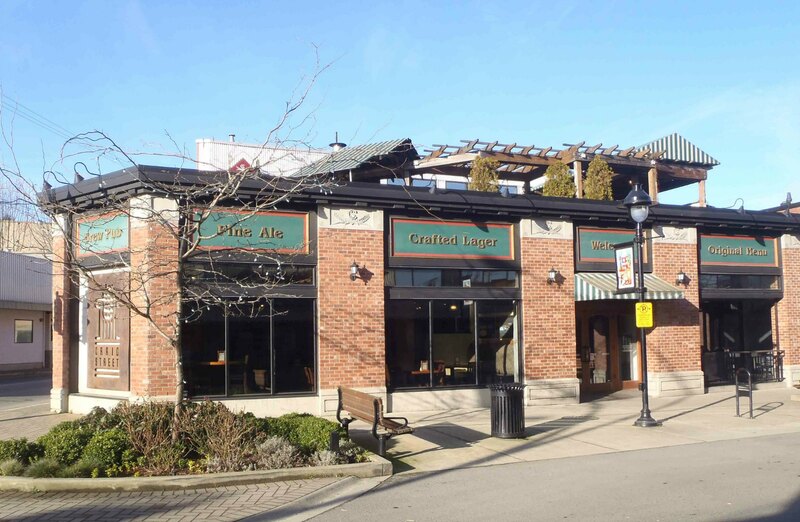 At the time we posted this, the Canadian architectural websites we checked did not credit William Frederick Gardiner with the design of 25 Craig Street or any other Duncan or Cowichan Valley buildings. William Frederick Gardiner designed and built 25 Craig Street in 1929 for the Home Oil Company, a Vancouver based petroleum refiner which also ran a chain of gas station and garages through which it retailed its products. The Home Oil Company had William Frederick Gardiner design this building as a gas station and garage. Today this may seem an unlikely location for a gas station and garage but it made complete sense in 1929. At that time the intersection of Craig Street and Government Street was part of the Island Highway, the main north-south transportation corridor between Victoria and Nanaimo before the present Trans-Canada Highway was completed in 1955. That made the intersection of Craig Street and Government Street the main intersection in downtown Duncan for traffic on the Island Highway. So a gas station and automotive repair facility at Craig Street and Government Street was a potentially lucrative business in 1929. Another long established Duncan automotive business that started on Government Street at about the same time is Joe’s Tire Hospital at 176 Government Street, started by Joe Drennan in 1930. Approximately 65 feet square, with a slight taper towards the corner, the garage is built throughout of reinforced concrete. The architecture is Spanish in style and, in addition to the general lines, a pleasing effect is given by the green tiles on the roof of the service canopy, these being in imitation of the clay tiles of Spain. The service station has two gasoline pumps and the usual air and water lines. It occupies the corner point and there is access from both streets……..
On the Government Street side, in front of the shop and a continuation of the service space, is room for washing, oiling and greasing. Here a hydraulic hoist is part of the built-in equipment…………. The repair shop occupies the eastern half of the building [note: this must be a mistake; the repair shop would have been on the western side of the building with the car showroom on the eastern side bordering Craig Street]. Throughout the garage all the latest conveniences have been installed. All machines will be run by air or electricity and proper outlets have been provided for their use. The pumps are automatic electric, the compressor is of the latest type. A grease pit in the shop provides additional facility for underneath work when the hoist is already in use……..
Home Oil Distributors Limited, in erecting this substantial building and installing first-class permanent equipment, have shown an evident faith in the development of Duncan and the Cowichan district. They are to be congratulated upon their own growth as a 100 per cent western Canadian company, of which evidence is given in the large and steadily growing chain of service stations. A modern refinery stands on the north shore of Burrard Inlet, where Home Gas is manufactured and there is a central depot from which Home Oil products are distributed…….. The architect for the building was Mr. W.F. Gardiner, Vancouver [emphasis added]. The attractive design and arrangement are tributes to his good work. The construction was well carried out under the general supervision of Mr. John Beckwith, Eburne, B.C., who was the general contractor. An inspection of the building reveals good workmanship throughout reflecting credit upon the general contractor and all sub-contractors, as well as the firms supplying the materials…….. If you’re interested in exploring downtown Duncan near 25 Craig Street, see our pages on Craig Street and Government Street.